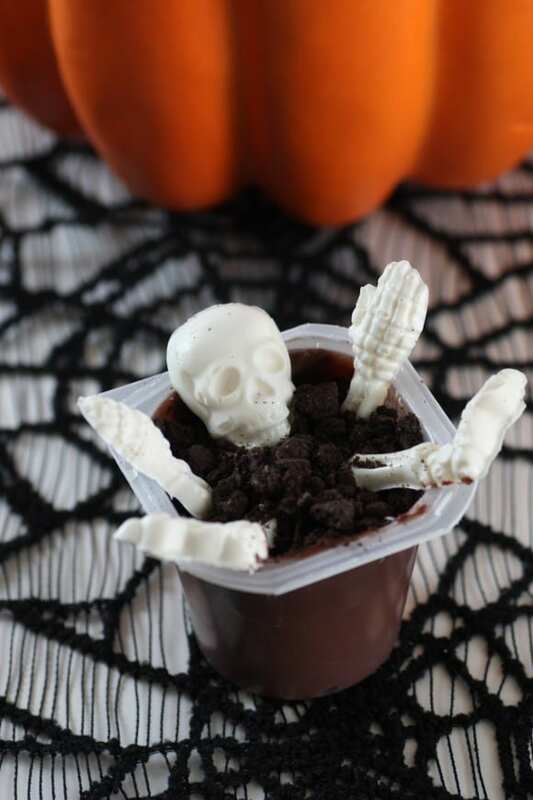 My daughter is into "creepy" this Halloween, so we decided to make Easy Halloween Skeleton Pudding Cups. She wanted them to look like the skeletons were climbing out of their graves. Oooh...spooky! She loved how they turned out—just the right amount of scariness. And, of course, she loved how they tasted! 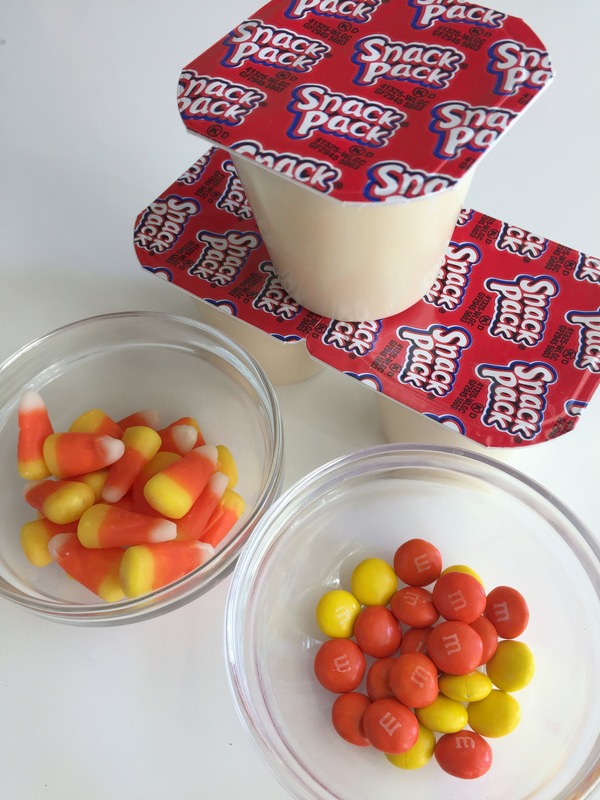 Not only would these look great at a Halloween party or as a Halloween treat, but they are also super simple to make. I melted the candy melts in the microwave at 30-seconds intervals, mixing them after each interval. I spooned the chocolate into the molds, smoothed out the tops, and refrigerated for two hours. I split open the sandwich cookies, and, using only the cookie side (the side with no middle attached), I crumbled them into "dirt." 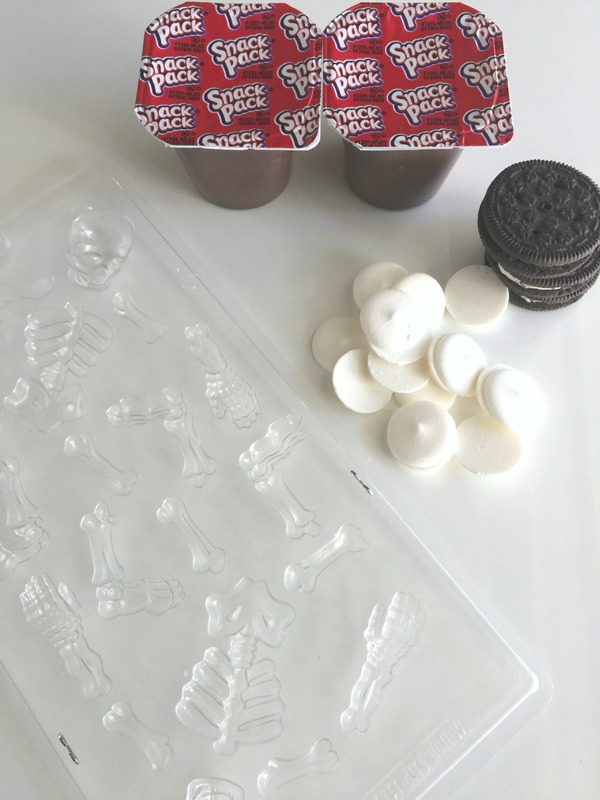 I stuck the skeleton head, arms, and legs into the pudding, and sprinkled the sandwich cookie crumbles on top. 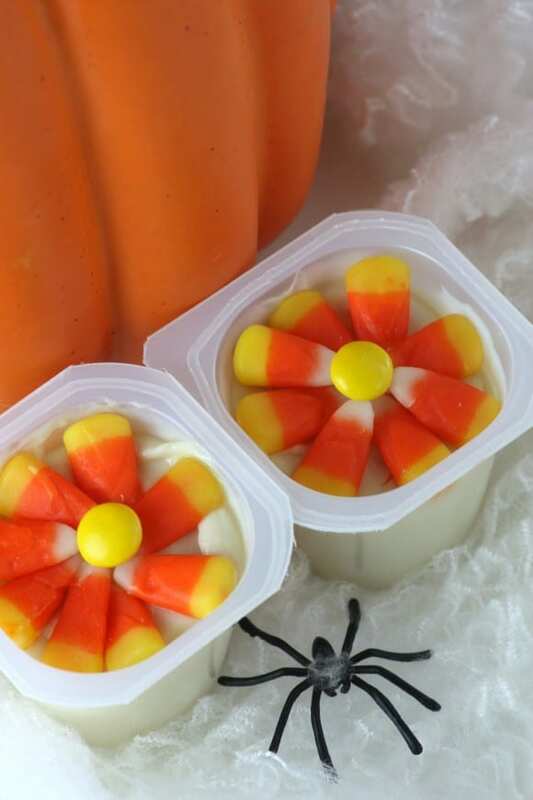 I also wanted to make a pudding cup that was a little cheerier. Given that my husband loves candy corn, I decided to make candy corn flowers. I used vanilla pudding for this one. I spread out the candy corn in a flower pattern and finished it off with an orange chocolate candy center. He loved them! Ooopss! 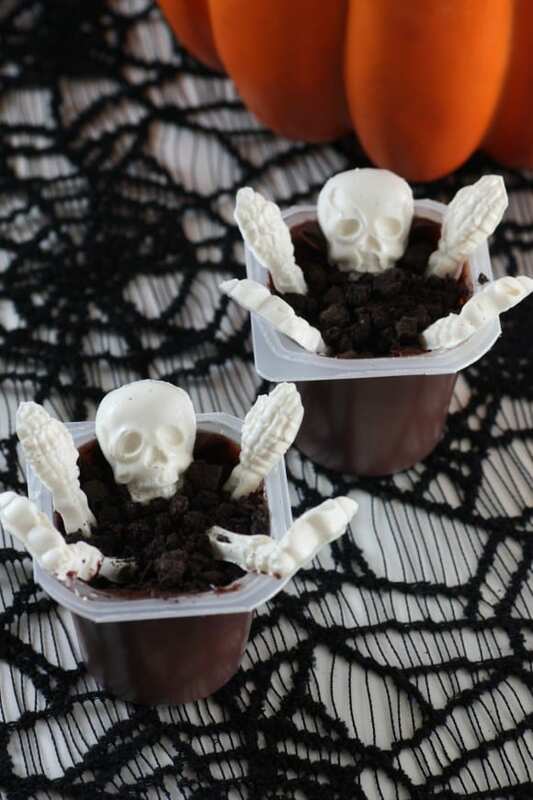 not so horrible.Actually funny.Like this skeleton pudding cups.